This study explains how to prepare offline maps from WMS/WFS or any map loaded in QGIS map view by downloading tiles with the help of a script in python console. The skript also generates a mosaic of all tiles for further use. 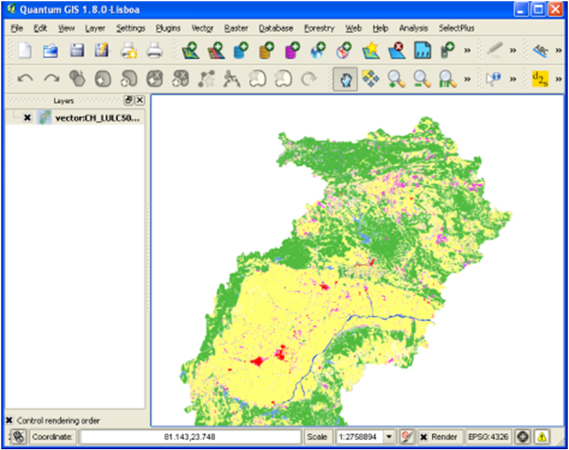 The above experiences shows that QGIS can be used at any advanced level. With basic programming skills one can write a small script or a plug-in to improve the quality of work and save time. Within QGIS, access to a repository of plug-ins developed worldwide is the best of QGIS. The PyQGIS Developer Cookbook is a great resource to write a script and raster data processing is much easy now with help of GDAL tools.